At Chapin Pharmacy we combine the latest technology with a superior staff to ensure that your prescriptions are filled with speed and accuracy. Our Script-pro robotic dispensing systems (affectionately known as “Robbie”) fills 50% of all our prescriptions with an accuracy of within 1 pill for every 1000 counted. Along with our pharmacy management system we are able to track your prescription from drop off to checkout. Using bar-code scanning we verify each prescription filled to ensure your safety while getting you under way in record time. Chapin Pharmacy can help parents with our younger patients. 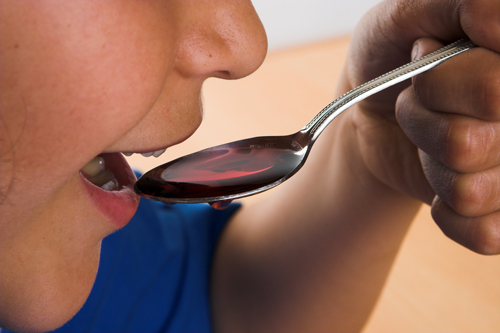 We offer a free measuring spoon, dropper or syringe with all liquid medicines to ensure the proper dosage. We also know that for parents it can be very difficult to get your child to take their medicine. With the Flavorx medication flavoring system, we can re-flavor most medicines to be more palatable. We can even compound some medications into liquid for not only children but animals we well. We believe that you should always be treated as more than a number. That’s why we willing to go the extra mile to make your pharmacy experience better. 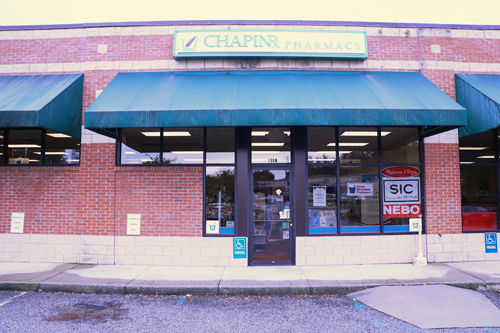 If there is anything that we can do to make your visit to Chapin Pharmacy better don’t hesitate to ask.